Includes 2 Detroit Diesel engines, 14.8L DD15, 15.6L DD16. Includes 1 Transmission, Allison 4500. This combo easily hauls anything. 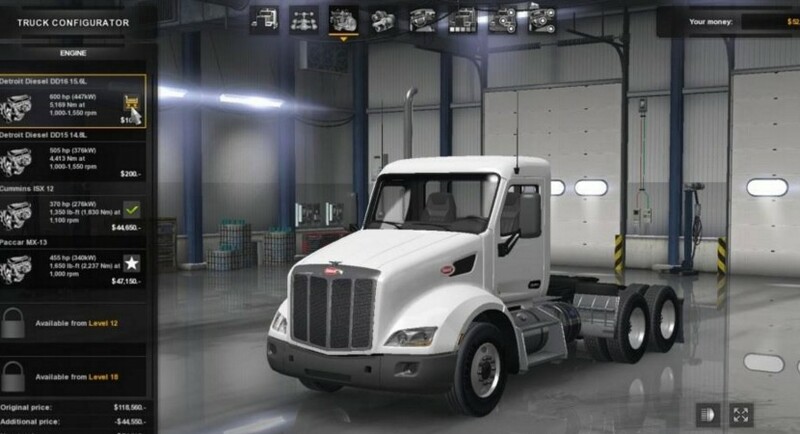 v 1.2 * Fixed problem with Engines not working with Peterbilt trucks. v 1.3 * I’m an idiot and put the wrong download link. v1.4 * Added support for Kenworth w900 and added sound.